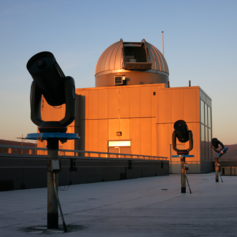 Join Staff Council for a Night at the Observatory! This event is appropriate for children 8 years old and up. If we have to cancel this event because of bad weather, there will be other open observatory dates. If the sky looks questionable on the 7th, call the Observatory at 443-2266 for a message after 7:00 PM regarding the ability to view the stars that night.